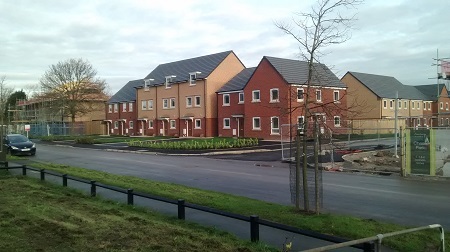 Cheshire West and Chester Council has won an award for meeting the housing needs of the community by building more affordable homes on its own land. The Council’s work to provide affordable homes for residents was recognised at the first Northern Housing Awards. There were 19 categories at the event and the Council won the Development Programme Award. It was recognition for the decision of members and the work by officers to oversee hundreds of council houses for rent, shared ownership and houses for sale on the open market. Cheshire West and Chester Council will have created 1,700 new homes across the borough by 2022 on council land, with 400 already completed. Specifically, 814 new homes will be built as part of mixed tenure housing schemes before the end of 2019, with 422 of them being affordable. Up to 230 of these new homes will be council houses. By 2022, 900 more homes will be built, including 500 homes for sale, around 100 starter homes and 300 homes available to rent at an affordable price. Councillor Angela Claydon, Cabinet Member for Housing, said: “The Council is delighted to win the first Development Programme Award at the first Northern Housing Awards. It is recognition for the fantastic work our teams are doing to increase the supply of affordable housing in our borough. “In a climate where house prices are rising steadily, it is important that our residents are able to find affordable accommodation. We are working to build more Council housing and provide an appropriate mix of homes to meet the needs of people in the borough. We are prioritising the development of affordable and low cost rental properties.